In this day and age, decisions should take sustainability into consideration wherever possible, and this certainly applies to travel. 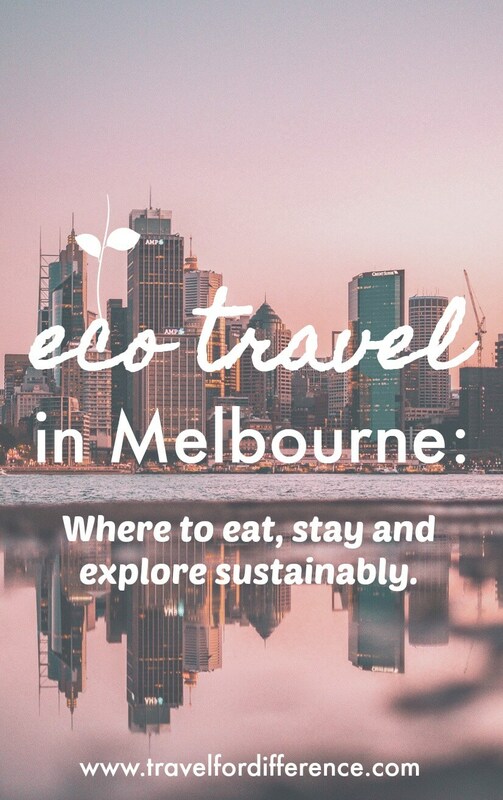 Eco-friendly travel and transport choices are now something that many people look for, and cities around the world are doing more than ever before to accommodate this ever-growing movement… Melbourne is one such city! Sustainable travel is not only good for the environment, but it can also help you save time and money, meet new people and exercise effortlessly. Eco-friendly travel also means novel experiences and a lighter conscience, so it’s a win-win for all. Victoria’s public transport network already consists of trains, trams, buses, coaches and bike share services. You can find external bike racks on four bus routes, and it’s also acceptable to take a bike on the metropolitan and V/Line trains free of charge. Another idea is to carpool with others via ride matching websites, or share taxis. 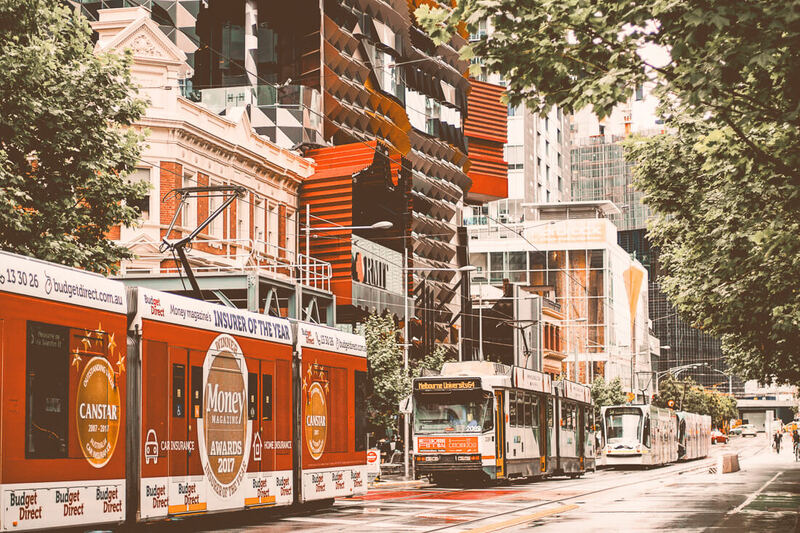 While in Melbourne, do make use of the free tourist tram to get between major attractions. Trams are an iconic symbol of this city! If stuck on how to get from A to B, use this journey planner to help you find your way around. By the end of 2018, the tram network (which is already the largest in the world) will be solar powered, bringing a reduction of over 80,000 tons of greenhouse gas emissions per year. 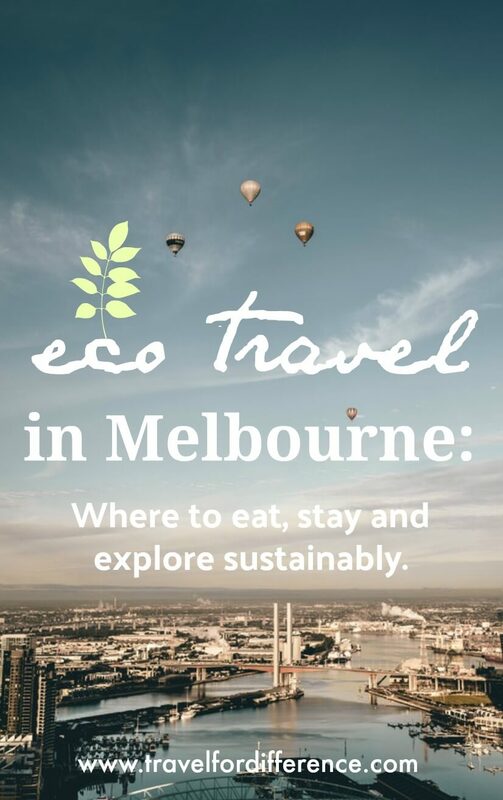 If you want to be eco-friendly in Melbourne, your best bet is to travel via this amazing service, by bicycle or on foot. How about a gentle kayak tour of the Docklands area and the Yarra River? Get in touch with Adventure Canoeing, who will rent you equipment to do it alone, or take you on a canoe or kayak tour on the upper Yarra River at Warrandyte (the north-eastern outskirts of the city). Choose to paddle for a couple of hours or go on a night excursion, during which there’s a big chance of spotting koalas, kangaroos and birds on your jaunt through Warrandyte State Park! If you want to ramp the adrenaline up a notch or two, go for one of their whitewater canoeing or whitewater rafting trips on the King River or the Mitta Mitta. Or you can really push the boat out with a group expedition to the Mitchell or Snowy rivers in the east of the state. If you like the idea of seeing koalas, kangaroos and other wildlife, get in touch with Echidna Walkabout, who have been eco-accredited. They will happily take you to a few places on the Werribee Plains: Serendip Sanctuary, You Yangs Regional Park or Brisbane Ranges National Park. On this trip, you’ll be told about the great significance of the plains region for the Indigenous people. You can also opt for a longer wildlife-focused trip, which includes a three-day ‘Fur and Feathers’ tour. The Mountain Bike Association of Australia has developed 20 kilometres of tracks for your enjoyment. Get down to Lysterfield Lake Park (no matter your mountain-biking ability) and choose a track to suit your level; go it alone or hire a guide – the choice is yours. This park is also a great place for a swim or picnic, and there’s a bird hide here too. Cruising the Yarra has never been so enjoyable and eco-friendly at the same time. Jump aboard the Eliza J electric-powered boat from a signature eco-friendly, intimate luxury fleet. Choose from a self-drive cruise package (no license or experience required) or a luxury skippered cruise. What better way to drink in the sights of the iconic Yarra River? The ‘Eliza J’ is quiet, releases no fumes or emissions and has fully enclosed cabins in case the city skies should open – which they very well may… We are known for having 4 seasons in one day after all! What could be more sustainable than spending the day walking around town and taking in the sights? Get your exercise up and go for a stroll – Melbourne is full of amazing places to explore. Melbourne is known for being one of the best shopping destinations in the world, but please, always shop sustainably. Fast fashion and unfair labour is a serious problem, but if you want to do some shopping here, have a look at this ethical fashion guide first! Silo by Joost is the most famous in Melbourne for its dedication to waste minimisation. Created by Joost Bakker, an eco-designer, entrepreneur and sustainability enthusiast, it was built with the intention of creating zero waste. None whatsoever! Goods come in reusable crates and steel pails, and produce comes without packaging. All food scraps are taken to the waste dehydrator out back, they silo mill their own wheat and hand roll their own oats, make their own yoghurt and more. This place will also impress you with its tasty, healthy food – that goes without saying. Located on Bourke Street in the heart of Melbourne is Kinfolk Cafe. But this isn’t any ordinary cafe… Kinfolk donates 100% of its profits to their charity partners, which at the moment are the Asylum Seeker Resource Centre (ASRC) and the Cathy Freeman Foundation. Since opening in 2010, they have raised over $175,000. Even though it doesn’t seem like it could get any better, Kinfolk also buys local, ethical, organic and fair-trade products. And they work with local and seasonal ingredients to produce fresh, lovingly crafted meals. If you’re looking for a famous Melbourne coffee, this is definitely the place for you. Mesa Verda is a traditional Mexican restaurant with a twist. Located on Swanston Street, level 6 of the Curtain House, Mesa Verde is known for its mouthwatering tacos, but also for its sustainable aspects too. 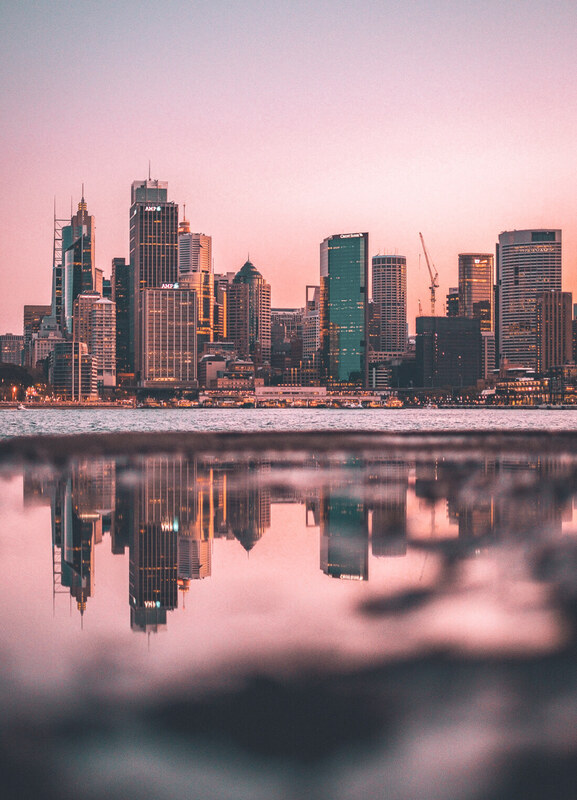 It’s also home to Melbourne’s only rooftop worm farm – how cool is that! Instead of throwing their scraps in the trash, they have a green approach to waste management and turn their scraps into fertiliser, which helps to feed the 30+ vegetables and herbs that they also grow on site. Who could complain about some freshly grown herbs on their tasty tacos? How about an urban garden for a good bite to eat? That’s what The Grain Store can offer if you head up to the roof. This Flinders Lane café is dedicated to sourcing sustainable, locally-sourced produce, of which most comes from Brunswick’s CERES and other local farmers. There is a private rooftop garden where the chef grows cauliflower, tomatoes and herbs – sample these in his cauliflower, quinoa and goji berry dish. The place is stylish, with a slightly industrial look but a very welcoming vibe – and the coffee is great too! The Alto Hotel on Bourke is a four-star hotel, so this one is for those who don’t mind splashing a little cash. It’s one of Australia’s best green hotels, with a big focus on conserving energy and water, using renewable sources and offering sustainably produced + biodegradable packaging. They also only use chemical free products, have a thorough recycling program, and even offer a book exchange. It’s the first hotel in the Pacific region to have Saflok’s biodegradable cornstarch key cards! The hotel itself is a beautiful Neo-Baroque, heritage listed building that was redeveloped in 1917. It is contemporary, stylish and comfortable; the 50 rooms, apartments and lounges are decorated with vibrant colour sets and all mod cons are provided. 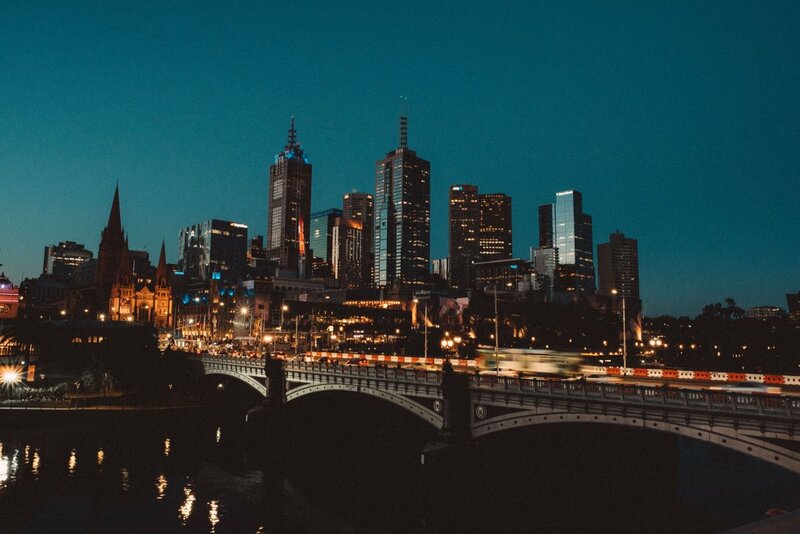 Set in the heart of Melbourne, it’s perfectly situated for convenient exploration. Habitat HQ hostel has been voted the number one backpackers hostel in Victoria. Located in funky, vibrant St Kilda, it’s a 12-minute walk from the beach. The hostel aims to provide you with a fun experience rather than just an overnight stay, dorms are comfortable with en-suites and private rooms are also an option. Cook a meal with other travellers in the communal kitchen, or play billiards in the lounge. Habit HQ go out of their way to preserve energy and water and use renewable sources; they have eco-friendly waste management protocols and are committed to sustainable daily practices, which they encourage guests to join in with. They have a ‘green stand’ in the lounge with information for guests about hostel practices and goals, and information to raise awareness of green living. Sam Ross runs the blog The Hammock Hombre a travel blog focused around the digital nomad lifestyle. Over the past 3 years, he’s travelled to every continent, so he writes on a broad range of countries, cities and destinations. Disclaimer – The hotel links included in this post are affiliate, meaning that if you purchase through the link, I will receive a percentage at no extra cost to you. It helps me keep this blog running, so I’d be eternally grateful for the support!